Have you broken your Plantronics wireless headset top? Don't throw your whole system out. Get a Brand NEW replacement headset top. 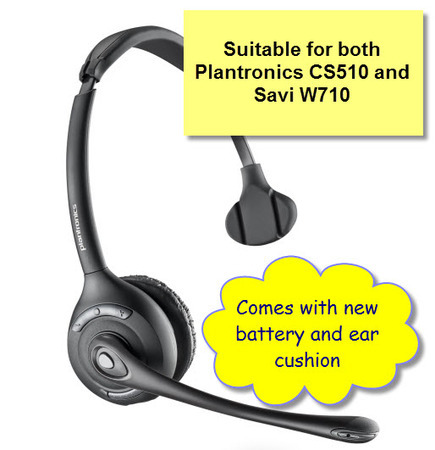 This headset top is suitable for both the Plantronics CS510 wireless headset. Though not well known, both these headset models use the same top (or ear piece as some call it). It comes fitted with a new battery and ear cushion. It also has a two year warranty.